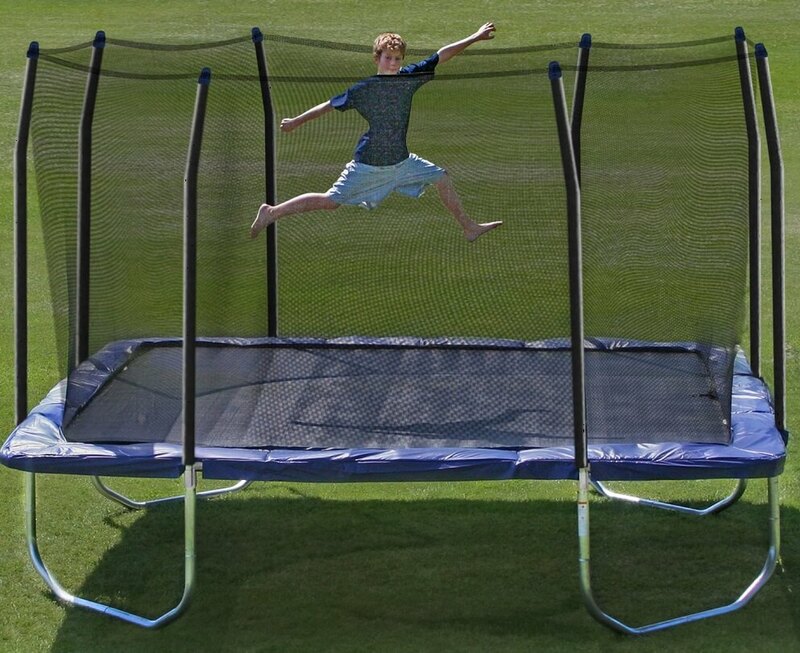 Skywalker square trampoline is one of the rare 14ft square trampolines currently available on the market. 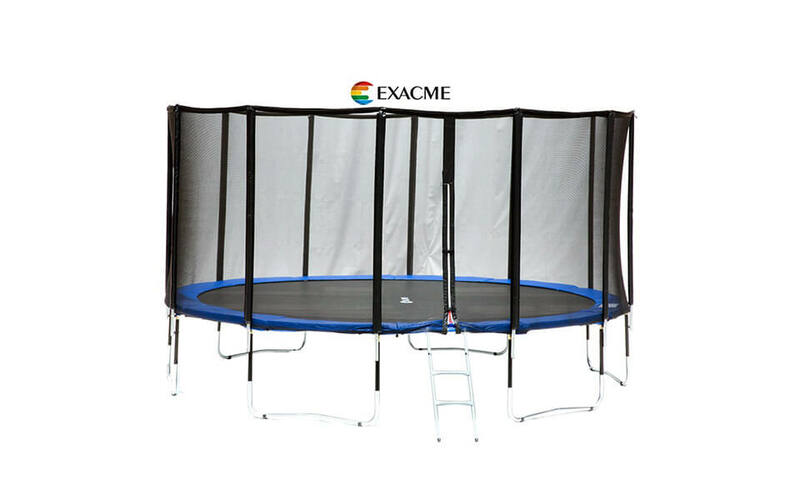 As mostly round and rectangle shaped trampolines are bought, where square have similar characteristics as rectangle models, people mostly use square trampolines for smaller yards, where rectangle models don`t fit. 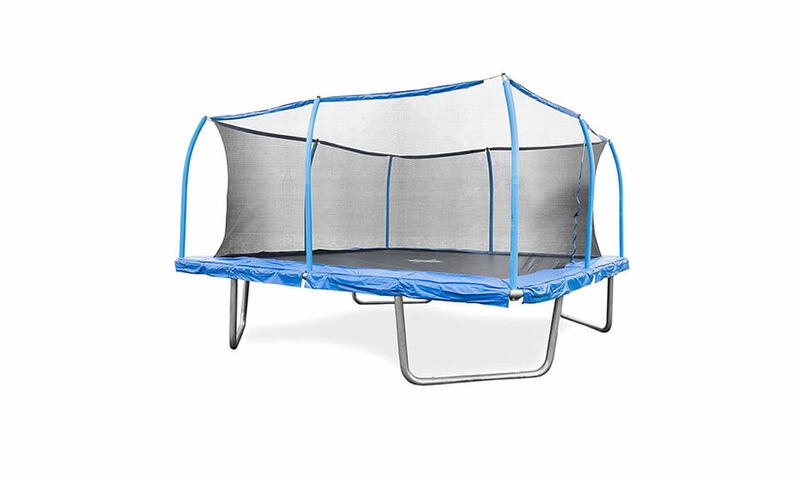 Anyway, this particular square model of Skywalker trampolines offers fantastic amount of room to play and jump without losing functionality of standard models. 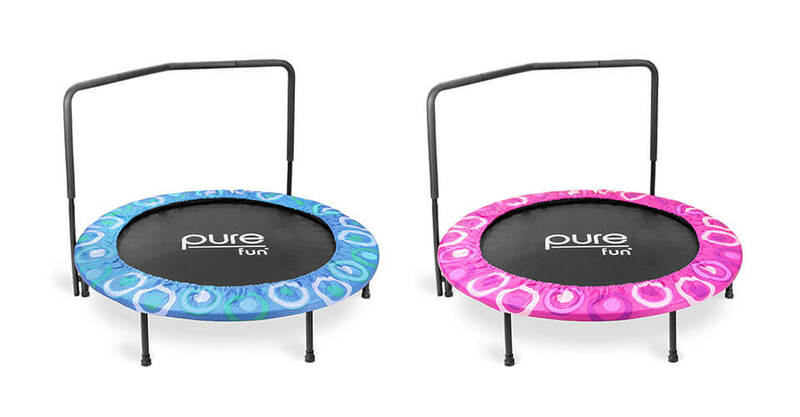 As we said above, square shape offers similar jumping experience as rectangle models which they combine with amount of room found only on big round trampolines. 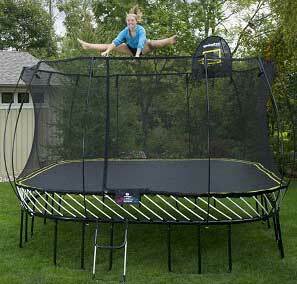 Now, let`s get to review and specifications of Skywalker 14×14 ft. Square Trampoline! 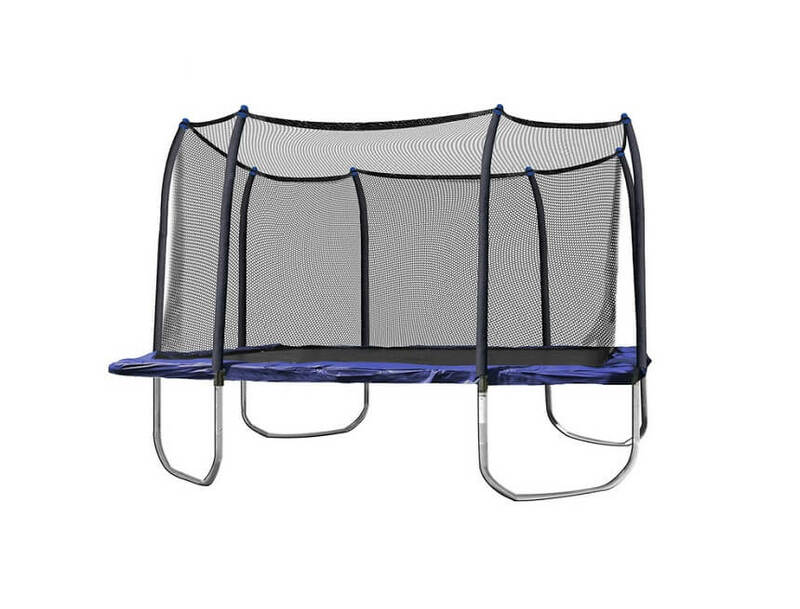 Frame is made from 14-gauge galvanized steel which will insure that there will be no rust even if you leave it out in the open for several years. 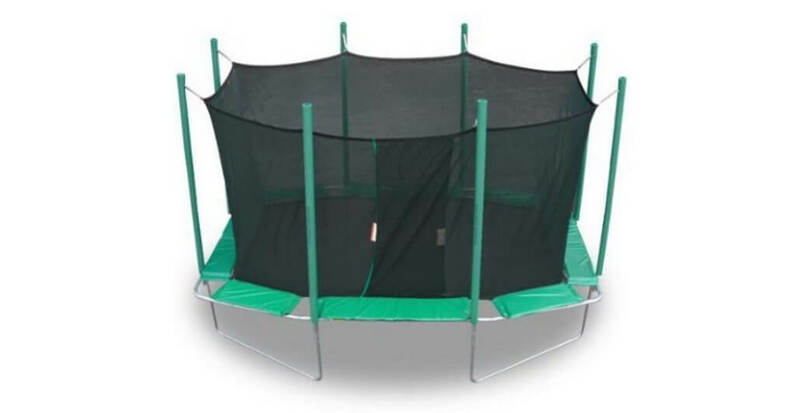 Frame is connected to 4 U-shaped legs with T-sockets, at each leg and enclosure joint, ensuring maximum stability and sturdiness. 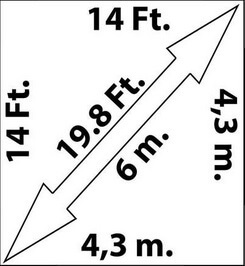 Total height of frame from the ground is 37-inches so there is no need to buy extra ladder for safe entry or exit. 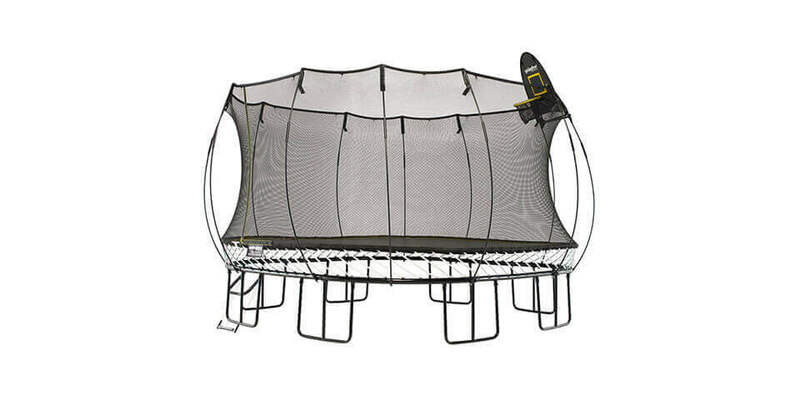 There is total of 96 pieces of steel springs, 7.5-inches long and 1-inch in diameter (1.25-inch springs can be bought as replacements, so if you own this trampoline we encourage you to take stronger ones, when needed, of course). 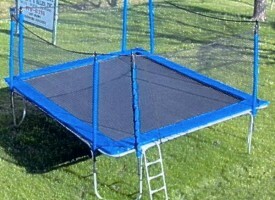 When compared to 13 ft SkyWalker square trampoline, there is 16 springs more on this 14 ft. model. Mat is made from UV-protected polypropylene crafted with 6 rows of stitching. With almost 20 ft in diagonal, there is 166 sq. ft. of jumping place, which must be enough for all kind of trampoline-based activities. Safety padding is available in two colors – dark blue and camouflage, where choice of these dictates overall price. If you like camo, go for it, as there is almost $300 difference only because of this choice! If you don`t like it, you can always order blue padding, which alone costs $169, so you win either way. Padding is made from PVC Vinyl filled with 1-inch of high-quality foam which covers springs and frame. 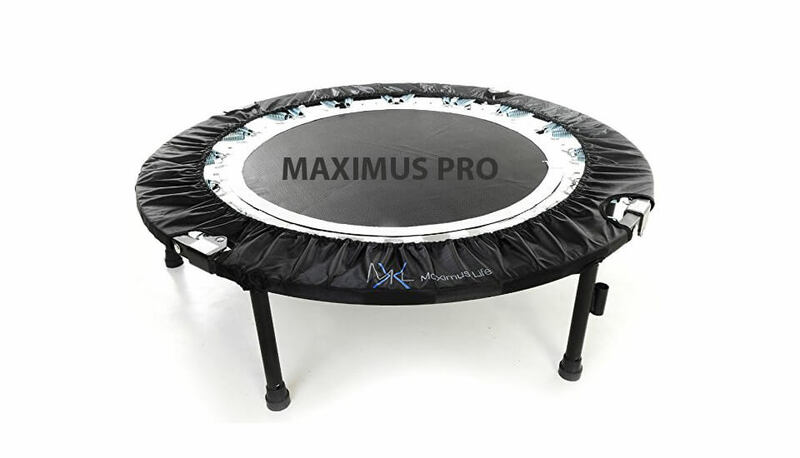 Enclosure connects directly to mat V-rings, giving you chance to enjoy jumping without any possibility of hitting frame or even landing on springs. Enclosure entrance is secured with zipper. 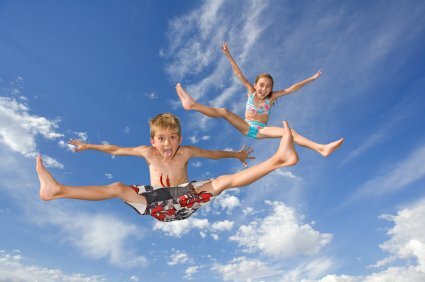 Warranty is 1 year on frame and 90 days of limited warranty on all other parts – standard Skywalker Inc. warranty on all their trampolines! Interested? Buy Now! OR Check other reviews! 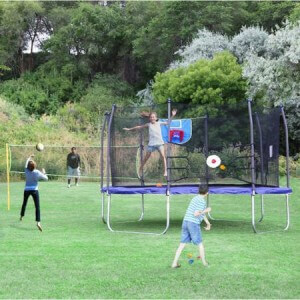 This ssquare trampoline really is huge trampoline without any significant downsides. 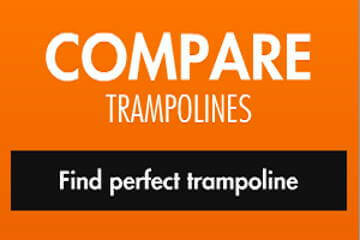 Sturdy, strong but affordable - you can rarely find trampoline which falls in that group of trampolines today. 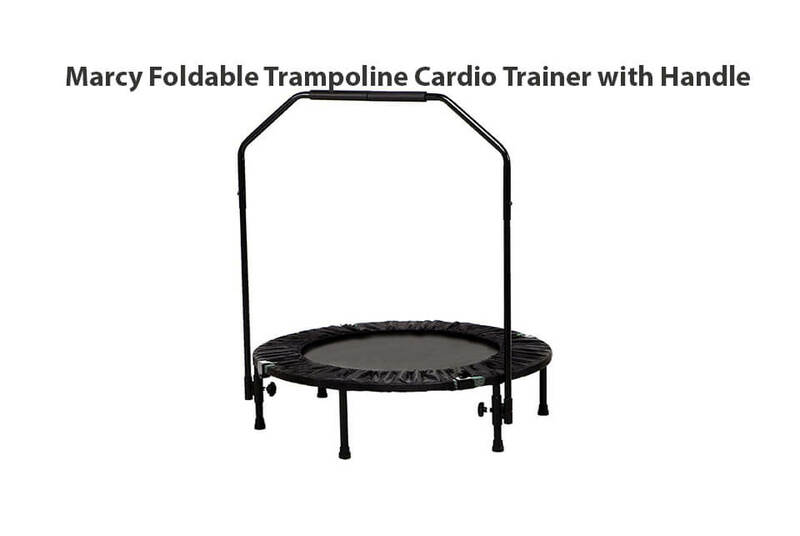 Our thought is that this square shaped trampoline is one of the best-buys you can find today. Recommended!